Three new choughs arrived in Jersey on 2nd December thanks to our friends at Paradise Park. Alison Hales, Director of Paradise Park, and her husband Ray, drove the new birds from Hayle in Cornwall and onto the ferry at Weymouth. Keepers had to move the choughs into their export crates the evening before their departure, and then they were driven off before the crack of dawn to make the ferry. On arrival in Jersey they went straight to Durrell’s Vet Department for routine health screening then on to Sorel. 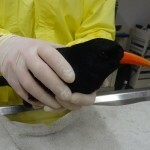 The choughs entered a thirty-day quarantine period and remained separated from the original five birds for the first three weeks. These new recruits are two chicks from the 2013 breeding season and an older male juvenile. Having more males in the group will hopefully boost breeding opportunities in the forthcoming years. They have certainly settled in well, coming down for food and going straight on the weighing scales. 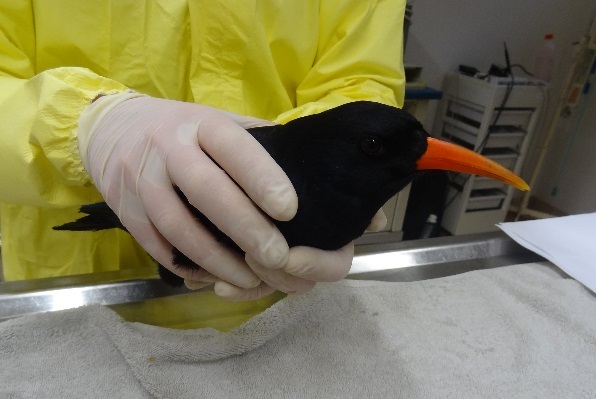 When the choughs arrived in Jersey they were treated as a precaution for gapeworm with ivermectin. This needed to be repeated after 14 days so on the 17th they were caught up by the vet. The new birds’ body weights were recorded at the time and it was clear that they had been gaining weight since being in the aviary. This is a good sign since the stress of the import would have reduced their weights and the cold weather at Sorel would cause the birds to burn more calories. They are obviously feeding well! The two groups in the aviary were mixed on the 20th and despite a few expected scuffles everyone seemed harmonious. There has certainly been solidarity throughout the gales and downpours with the birds sheltering together. However, towards the end of the month a fight between two of the choughs was witnessed in which one bird was pinned to the ground by the other. Fights like these are common in the wild when arguing over territory and females. They can often lead to quite serious, sometimes fatal, injuries. This particular fight started over food and, in a confined space such as the aviary, it isn’t unexpected when there are new males establishing their roles within a group. The new recruits have been given colour rings and accordingly they have been named ‘Yellow’, ‘Cerise’, and ‘White-L’ (not to be confused with sadly deceased ‘White’). At a later date they will be fitted with radio transmitters in order to follow their movements in the wild. 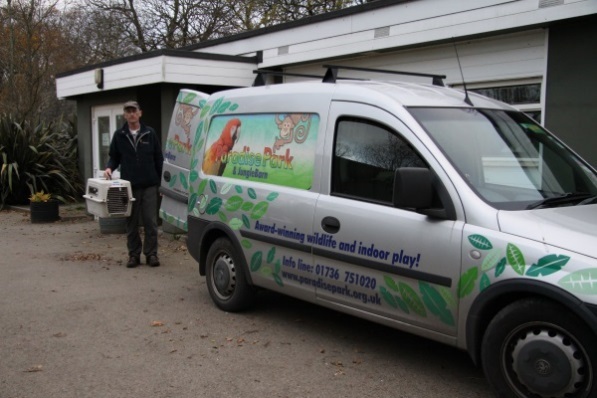 With the VIP cargo uncrated and settled in, Alison and Ray turned their attentions to the captive collection at Durrell. 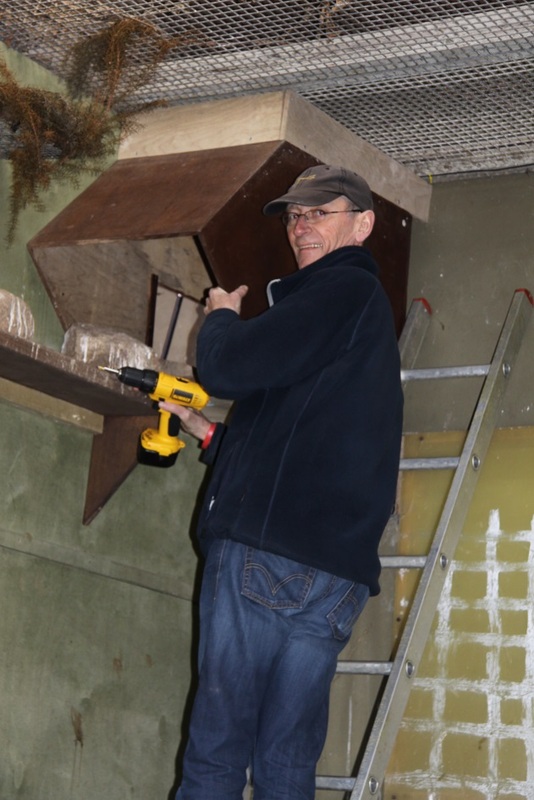 They stayed in Jersey for a few days to help set up nest cameras for the 2014 breeding season. They kindly donated equipment and spent time training staff in how to use the software. Expectations are high this year with both keepers and choughs now experienced in how to get nests, eggs, and chicks. 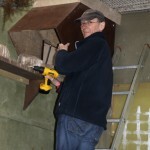 Efforts now, as always, will be to increase the chicks’ chances of survival to post-fledging. 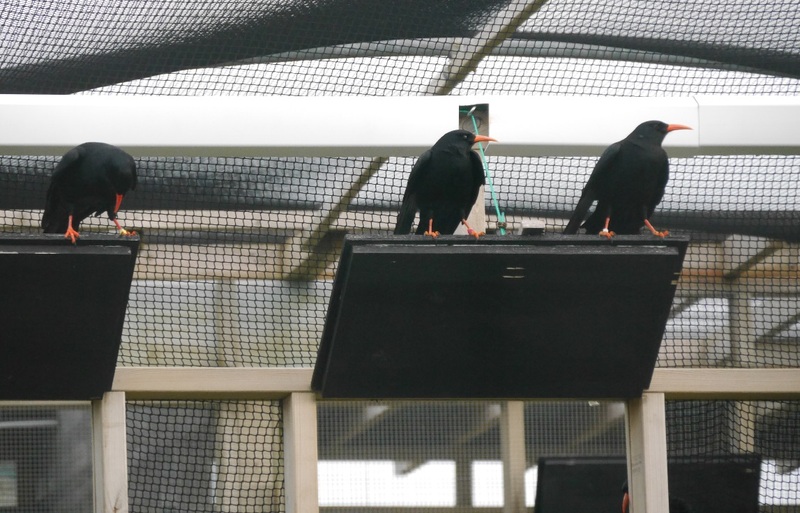 With improved image quality and chough-proofed cameras so they stay in place, keepers will be able to see when they need to intervene to help the chick. For example a chick gasping in the nest can be a sign of gapeworm infection or overheating. Keepers will be looking out for this and treating to prevent conditions worsening. Footage from the cameras will not be live to the public, but edited clips can be posted through this website. 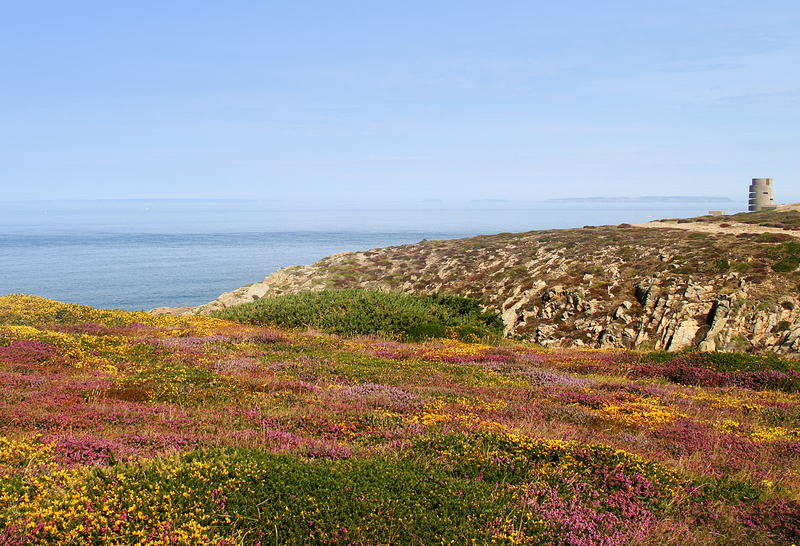 As always, this project is not just about restoring Jersey’s chough population. Some additional benefits take a lot of time and planning. The grazing sheep restoring the coastal grassland areas at Sorel may seem low maintenance, but as Aaron le Couteur will tell you it is the complete opposite. 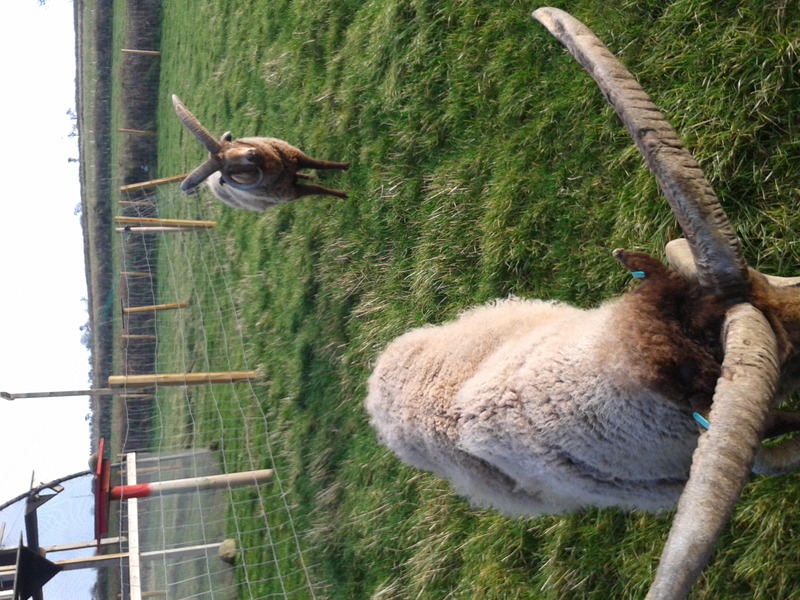 The rams are kept off-site to avoid ‘encounters’ with the public during the breeding season: their horns are much larger than the females and juveniles out on the cliffs and can get them into a lot of trouble. On Boxing Day three broke free from their field so Aaron had to move them to a secure field. 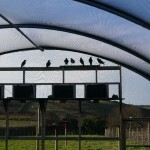 The aviary field was the ideal surrogate home whilst the fencing was repaired. 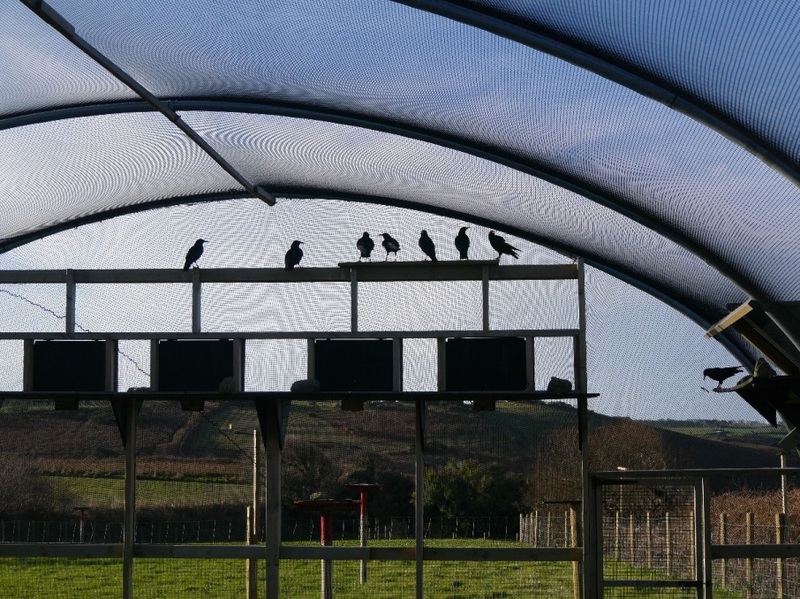 The new additions in ‘their’ field provided welcome enrichment/amusement for the choughs, although their antics started to put the integrity of the aviary fencing to the test. 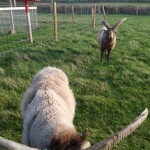 Fortunately the fencing in the original field was fixed before the choughs’ fence gave way and the rams have now been moved back. Housing the choughs at Sorel has also benefitted a somewhat unexpected character. For several months now a young kestrel has been spotted hanging out at the aviary. The height of the poly-tunnel gives the kestrel a good viewpoint over the surrounding fields to plan it’s next meal. 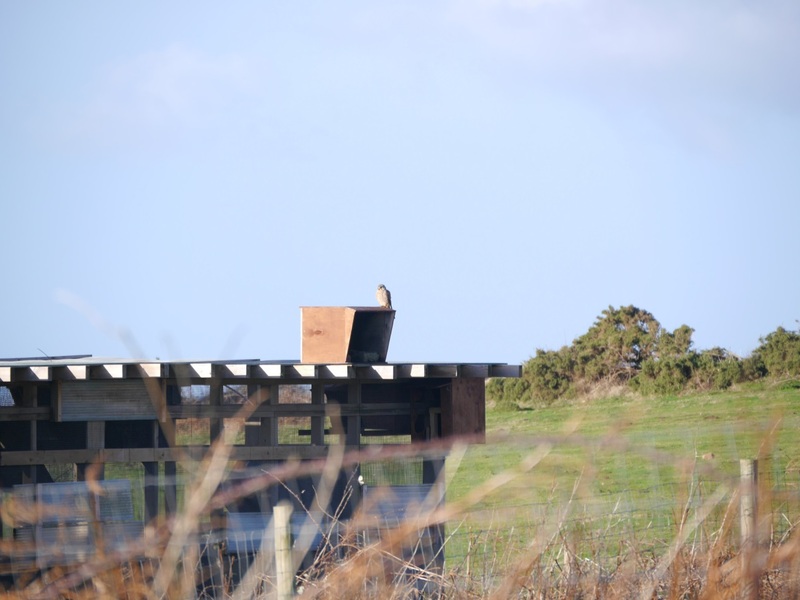 More recently the kestrel has been spotted inside the external chough roost-boxes no doubt sheltering from the stormy weather. The shelter of the aviary also attracts small rodents which have may have caught the eye, and talons, of the kestrel. We will be keeping a close look at the situation. Kestrels do not pose any threats to choughs and, in the wild, choughs will often roost near to kestrels as they act as a deterrent to other competitors and/or threats. 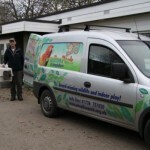 The concern will be more for the kestrel and whether it decides to set up a permanent home/nest at the aviary.